ACR Systems manufactures a premium line of compact, portable, self-contained data loggers. With a 10-year warranty, ACR’s data loggers measure and record temperature, relative humidity, electric current, pressure, process signals, pulse frequency, power quality and more. Networking capabilities, alarm dial-out and connectivity along with a proven track record of dependability makes ACR Data Loggers a world class brand. 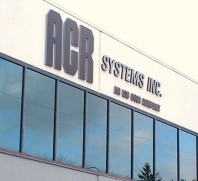 ACR Systems Inc. (ACR), one of the originators of compact self-contained data logging technology, is a world leader in instrumentation technology. ACR’s principal markets are building sciences (HVAC), process control, electrical, pharmaceutical and food, including transportation. Many other specialty niches have also found uses for ACR data loggers including motor sports, space agencies, aviation firms, artifact preservation, not to mention many top multi-nationals and government institutions. Whatever the application, ACR Data Loggers are an indispensable tool for performance measurement and analysis, auditing and verification, liability management, system profiling and process optimization.